Sometimes it is hard to think of a gift for a friend or relative. A gift card is always a safe option, but a bit boring in my opinion. 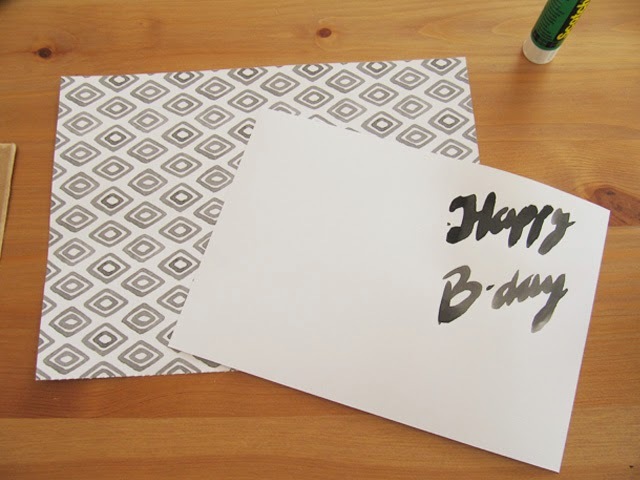 So here is a tutorial to turn the gift card into a cute little present. some tea or other hot beverage to keep you hydrated, one of my favorites is Turkish Apple flavour. 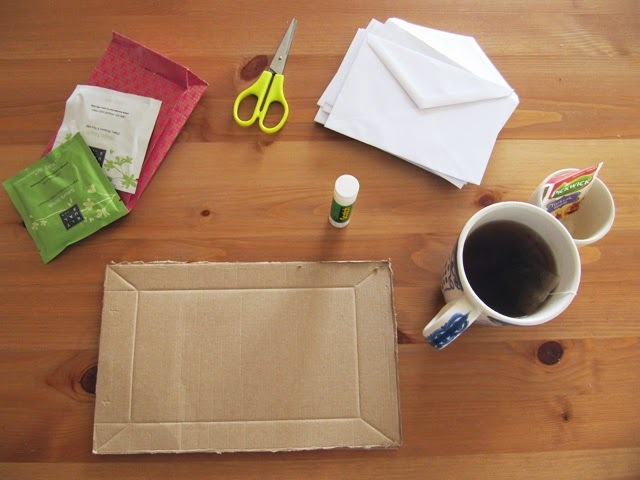 Adhere the pretty papers to the cardboard and fold the cardboard with paper in two. 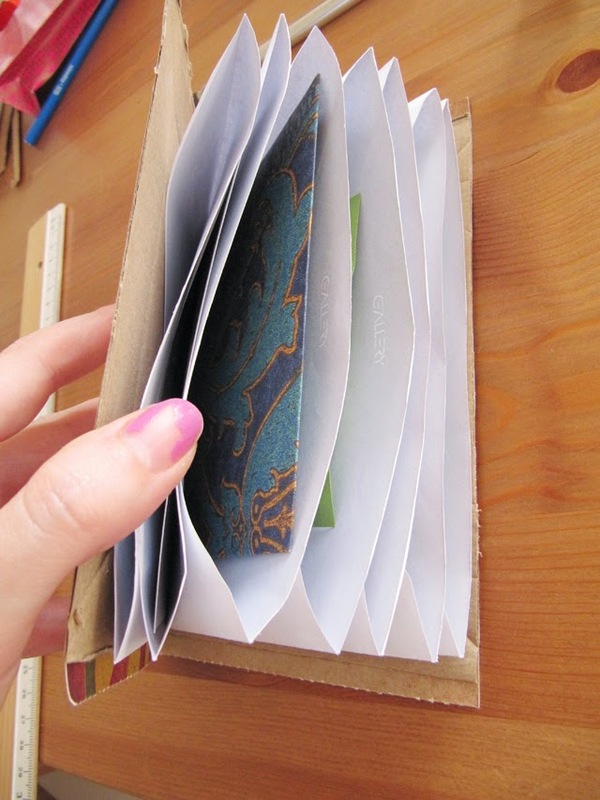 Make sure the folded cardboard is slighty bigger than your envelopes. 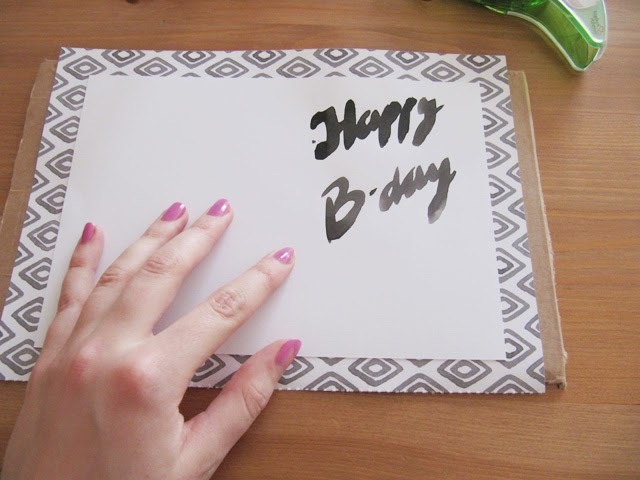 Cut of all the flaps of the envelopes. 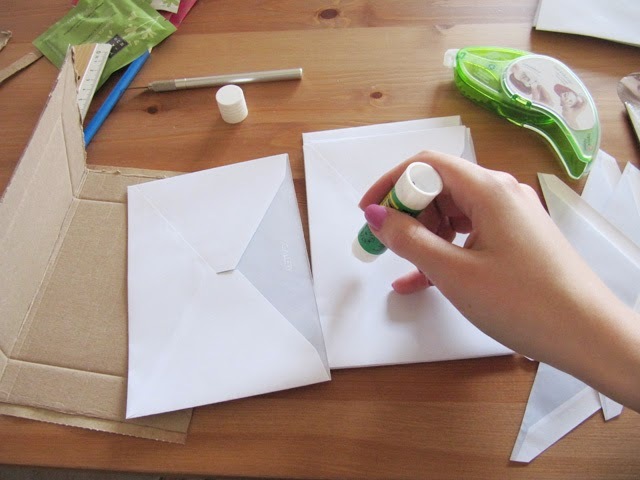 The envelopes will be the pockets, so the more tiny gifts you have the more envelopes you will need. 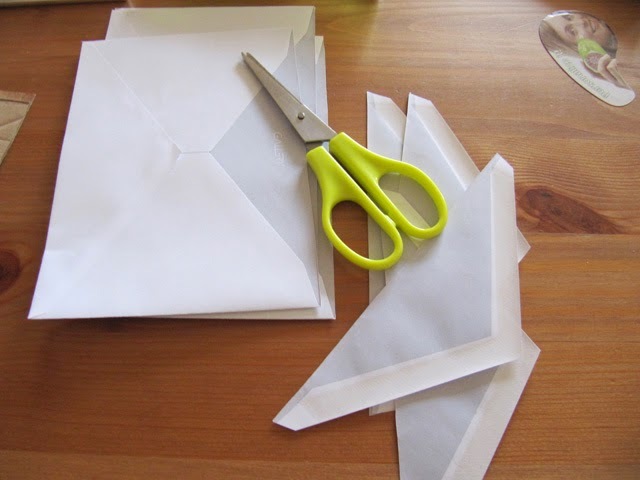 Stack all the cut envelopes together and adhere them down. Also glue them to the folded cadrboard. Put a goodie in every pocket. 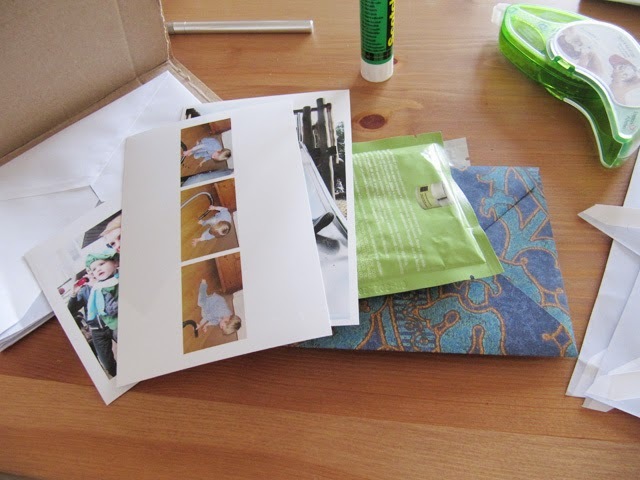 You can put all kinds of goodies in your present, pictures, samples of beauty products, candy. 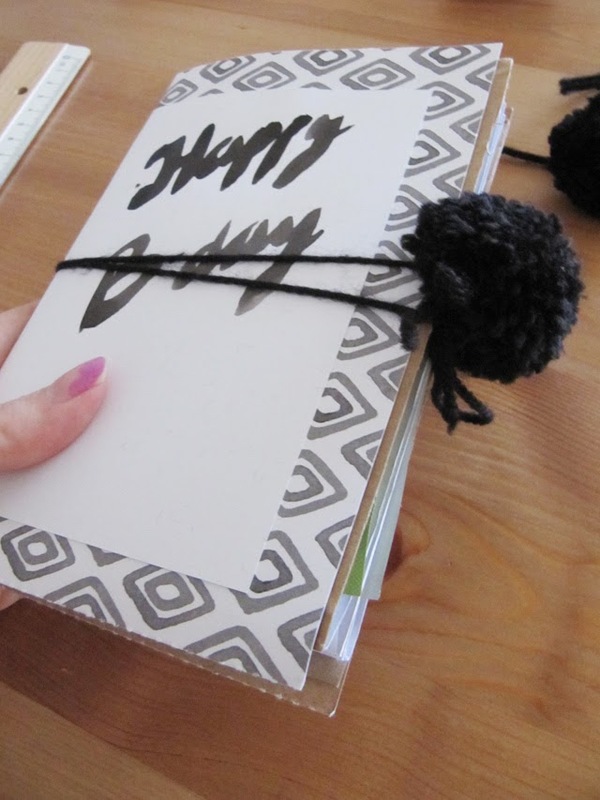 Just make sure the goodies are flat so the booklet won't be too bulky. Don´t forget to put in the giftcard ;-). 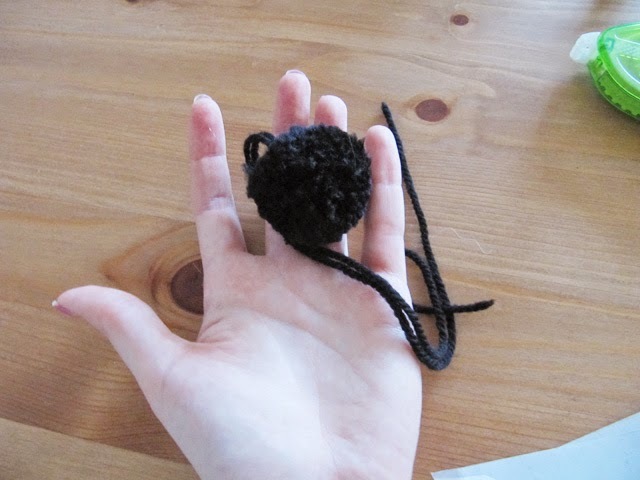 Tie some thread, yarn of in this case the pompoms around it to keep everything in place and you´re done! 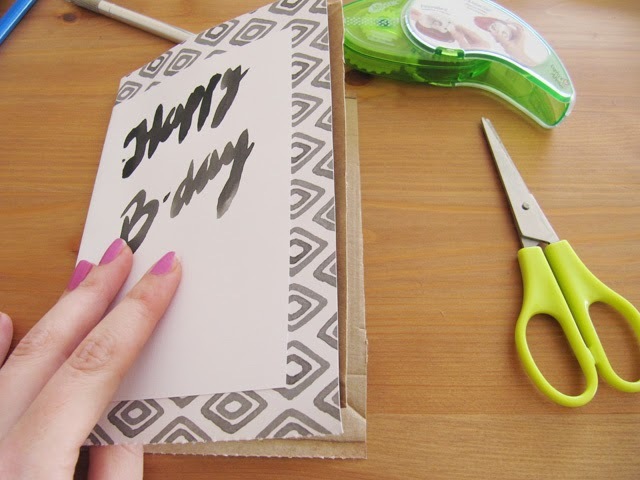 Have fun making and gifting! I love this idea! My niece's birthday is coming up and she loves little trinkets which would fit perfectly into a gift booklet. 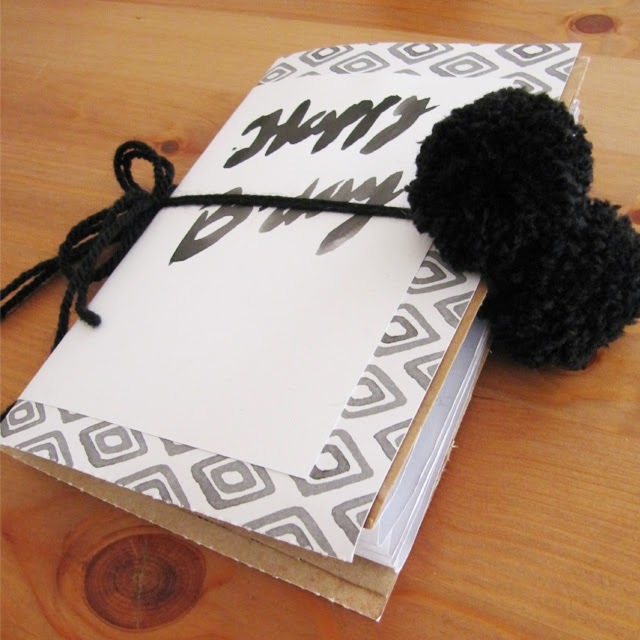 So much more fun and personal than putting them in a plain gift box. Thanks for the tutorial!